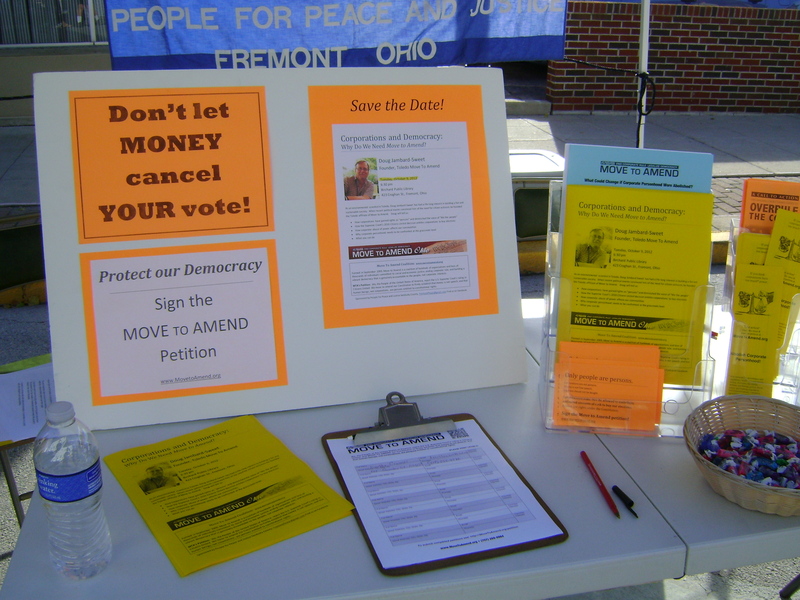 PPJ has collected signatures for the Move to Amend effort at our booths at several area events: Farmer’s Market, Dignity Day, and Tiffin’s Peace Fair. 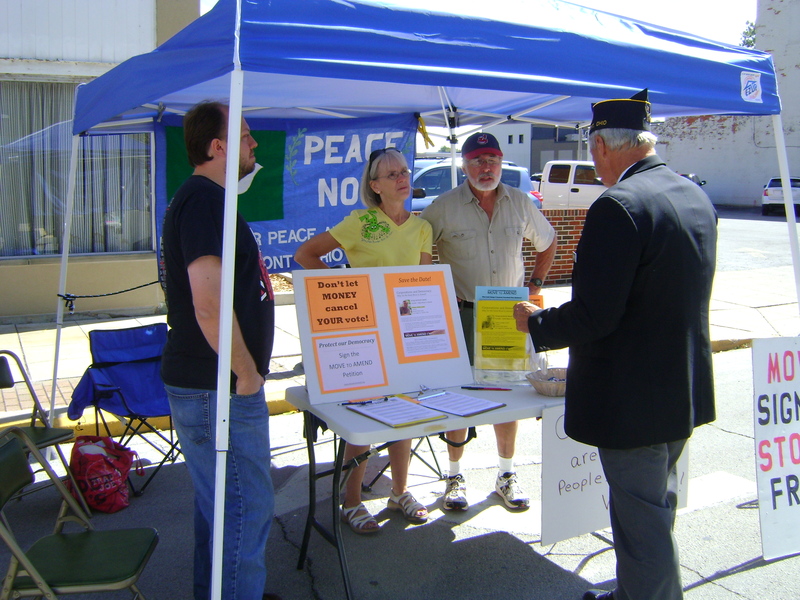 They will continue their efforts at their Sandusky County Fair booth, August 19-24. 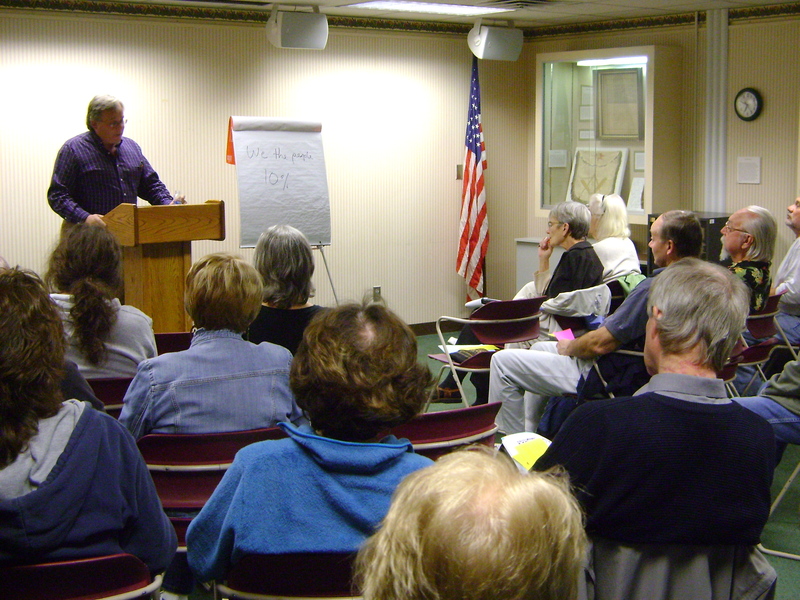 PPJ hosted a speaking event at Birchard Public Library with Doug Jambard-Sweet from Toledo Move to Amend. 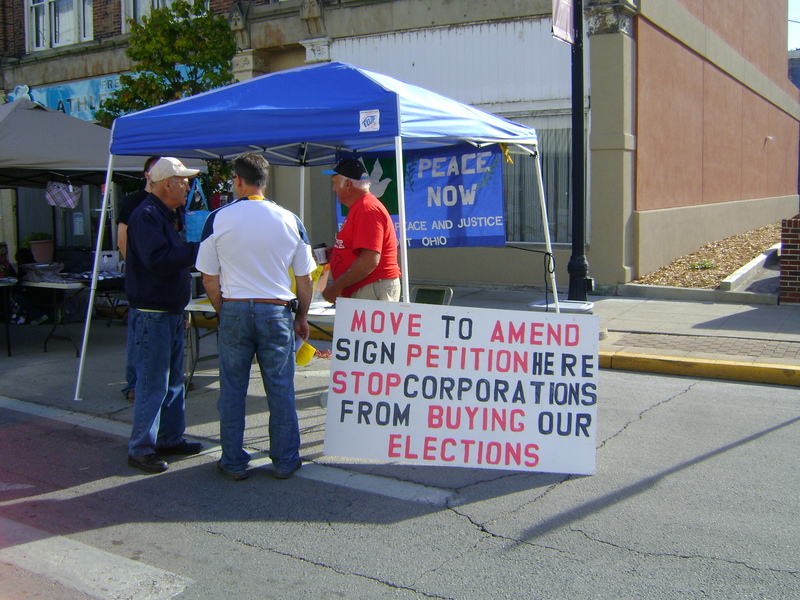 Out of this event we forged alliances to pass a Fremont City Council resolution in support of overturning Citizens United.